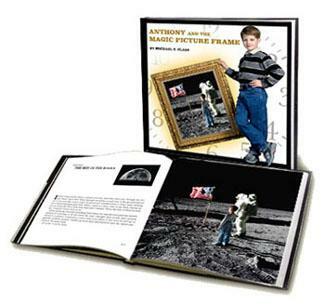 Anthony and the Magic Picture Frame contains dozens of amazing full-page historical photographs that vividly illustrate Anthony’s journey through time. Anthony’s conversations with the heroes of the past are based on actual things they said. Every quotation is properly sourced and footnoted for easy reference and a clear understanding of the speaker’s original context. Hundreds of footnotes fill in the details of what Anthony sees, hears, and experiences in the past: The footnotes include fun facts and short stories from American history that few people know! Anthony and the Magic Picture Frame includes a built-in "time machine" that can take you on an exciting tour of the past: The book includes recommendations for 461 books, 595 movies, 217 songs, and 155 places to visit, all keyed to the subjects of each chapter. Each chapter of the book comes with an inspiring message. The chapter about Apollo 11 is really about courage and goal-setting. The chapter about Lindbergh’s flight is really about planning and choosing one’s destiny. The story of Lou Gehrig is about leading a virtuous life and never quitting. The chapter about Thomas Edison is really about business and the benefits of hard work. The story of Dr. Jonas Salk is really about dedicating one’s life to a higher purpose. Anthony’s observation of D-Day and the liberation of the death camps during the Holocaust is a testament to the reality of evil and the need to fight it. When Anthony meets his immigrant great-grandfather at Ellis Island, it's really a story about marriage, family, living through adversity, and what it means to be an American. The Picture Frame transported me back to the beach in France, where I had witnessed the Allied invasion a year before. The beach was quiet, except for the rhythm of the waves crashing on the empty shore. There was no thunder in the sky, and there were no explosions in the sand. The water was blue, not red. The pillboxes on the bluff were silent and empty. Bullets did not rain down from above. There was nothing disturbing the small birds that hopped along the shore, looking for food. In the warm late afternoon sun, I walked up a dusty trail from the beach to the top of the bluff—a path that Allied soldiers had walked on D-Day. It was hard to believe that what I had seen on the beach just a year before had actually happened. The fields of tall grass above the beach carried the evidence that it had, though: Row after row of wooden crosses lined the countryside as far as I could see. Like the beads on a giant abacus that had been laid down on its side, the crosses were the final tally of the high price of freedom and the cost of fighting evil. Standing among some crosses farther down the shoreline, I saw a young American soldier. I walked over to him. His uniform was covered with medals. He wore the Medal of Honor, the Distinguished Service Cross, the Silver Star, the Bronze Star, the Purple Heart, the French Croix de Guerre, the Medal of Liberated France, and more than a dozen others. He told me that his name was Audie Murphy, that he was a 2nd Lieutenant, and that he was returning soon to his home in Texas. He was twenty-one years old, he said, but a tired look in his eyes made him seem older to me. I told Lieutenant Murphy what the Picture Frame had shown me—what I had seen of the war. I told him how different real war was from “playing army” with my friends back home. Lieutenant Murphy said that war was not at all the way he had imagined it, either, when he was a boy. Lieutenant Murphy turned away and looked out over the channel. The late afternoon sun looked like a bright orange disc burning just above the water at the horizon. It sent streaks of light across the darkening sky. Lieutenant Murphy and I walked together on the bluff, following the contours of the rugged coastline. We stopped every now and then to look out at the point where the sun was disappearing from the sky. We didn’t talk very much. I broke one of the long silences between us when I asked Lieutenant Murphy if the war had changed him. I asked him whether fighting monsters had made him into a monster himself. I thought that Lieutenant Murphy’s words were remarkable because, in his time, it was never obvious that the forces of good would triumph over the forces of evil. Satan had arranged a nearly even match. In my time, things are different: The forces of good clearly have the power to prevail over the forces of evil—it’s only the will to do what is necessary to win that is in doubt. People demand endless negotiation with the Hitlers of my time, limited responses to brutal attacks, and quick exits from the fields of battle. They whimper that the smallest sacrifices are too much to bear, too expensive, and too inconvenient. They seem to be angry that their daily routine has been disrupted, not that the foes of freedom are on the march. In my time, the men and women who risk the supreme sacrifice to fight for what is right seem fewer and farther between. Their character seems more rare, less appreciated, and even mocked. As the last bit of the sun dipped below the horizon, and the final streaks of red light faded from the sky, I wondered what Lieutenant Murphy would do with the rest of his life, now that the war was over. I wondered what the future held for him. The year was 1907. The stomach-churning ocean crossing was behind us now - I had never thrown up so much in my life. The interrogations and examinations of Ellis Island were over, too. Liborio, Francesco, Maria, Lazerio, Antonio, and I left the dock, and walked together into the heart of New York City, lost in our thoughts. As we walked through those streets for the first time in 1907, I realized that what lay ahead was completely unknown to me - alien, in fact. I began to appreciate the risk that the immigrants on board the SS Konig Albert had taken in their journey to America. Most had sold every earthly possession for their one-way ticket across the Atlantic. Those who were denied entry to the United States would be sent back to their home country to face poverty for sure, and possibly, complete humiliation. Those who were admitted to the United States faced an uncertain future. In my own time, it would be like going to the moon, with no guarantee that your spacesuit would protect you once you got there, and no fuel for a return trip to Earth if something went wrong. "Why would anyone do this?" I thought. In the vacuum of space, the Lunar Module’s engine fired without making a sound. I watched as the tiny spacecraft shot up from the surface of the moon and began its long journey back through the heavens, and toward home. The engine’s blast toppled the American flag, so I went over to stand it up. ... I took one last look at the planet Earth, shining in the blackness of space above the moon’s horizon. We are meant to see the earth from this vantage point. It’s our destiny. It’s our purpose. After all, “those who study the stars have God for a teacher.” We are meant to someday reach the farthest corner of the infinite universe, and to look back in wonder upon God’s magnificent creation. I hope to hear the same thing . . . someday. The last time I saw my great-grandfather Antonio was in the summer of 1938. It was a Saturday morning and we had just opened the grocery store for another day of business. A few early morning customers were inside the store, buying fresh fruit, fresh bread, and fresh coffee for breakfast. My great-grandfather and I were outside the store, setting up a sidewalk display. As I helped my great-grandfather stack cans of tomatoes and olive oil, I thought about everything the Picture Frame had shown me about his life. As a child, he was dragged across the Atlantic Ocean, in the foul belly of an overcrowded steamship, for the opportunity to live in a rundown tenement building in Hell’s Kitchen. Growing up, he had to fight, or deftly avoid, street thugs on his way to school. As a young man, he was tossed by cruel chance into the bloody frontline trenches of World War I. After the war, his hopes for the “good life” in America turned into a sour decade of hard times during the Great Depression. My great-grandfather took two fresh peaches out of the pocket of his grocer’s apron, and tossed one to me. Then he sat down on an empty crate by the curb. I sat down next to him and took a bite of my peach. For a few minutes we just sat side by side, eating our peaches and watching the early morning traffic go by. My great-grandfather’s voice trailed off; he seemed to suddenly get lost in a new thought. So, for the next few minutes, we just sat quietly on the crate and took the last bites of our peaches. They were the last peaches of the summer, sweet and fleshy and full of juice. I don’t think I have ever had a peach that tasted as good. I nodded, but I wasn’t sure what my great-grandfather was getting at. 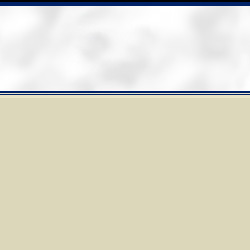 I wasn’t sure I understood. Those were the last words that my great-grandfather ever said to me. I thought about them for a long time; long after the Picture Frame took me to other times and places. And finally, I realized that my great-grandfather was right. America is an idea as much as it is a place. I was born in the United States, so no one would ever question whether I am an American. But in truth, even though I was born in the United States, I am no different than my great-grandfather and all the immigrants who came to this land: I can only be an American by choice. I was invited to Thomas Edison’s birthday party in 1920; he was 73 years old. I asked him what was on his mind, considering all the things he had achieved over the years. “Today, I am wondering what would have happened to me by now, if, fifty years ago, some fluent talker had converted me to the theory of the eight-hour day and convinced me that it was not fair to my fellow workers to put forth my best efforts in my work? I am glad that the eight-hour day had not been invented when I was a young man. If my life had been made up of eight-hour days, I don’t believe I could have accomplished a great deal,” Edison said. I smiled. It was impossible to argue the point. You can’t achieve success by watching the clock, or by complaining about the hours. It takes hard work. Edison’s hard work resulted in 389 patents for the electric light and electric power, 195 patents for the phonograph, 150 patents for the telegraph, 141 patents for storage batteries, and 34 patents for the telephone. Thomas Edison had created numerous companies, invented whole industries, employed thousands of people directly and indirectly, and created wealth for himself, his family, his investors, and the people who worked for him. Looking back, I think that hard work was really only one of the reasons for Edison’s incredible success, though. I think that there were two other reasons: God-given talent, and incredible focus. Thomas Edison, it seems to me, amplified the talents that God gave him through hard work, and then focused his talents on the opportunities he saw. It’s a lesson I won’t soon forget. Thomas Edison died on Sunday, October 18, 1931, at the age of eighty-four. The newspapers reported that his estate was worth over $12 million, so he died a rich man. But I think that the greatest wealth Mr. Edison attained was the love of the American people. On October 20, while his body lay in state in the library of his New Jersey laboratory, more than fifty thousand people came to say goodbye to the “Wizard of Menlo Park.” Then, the next day, on October 21, President Herbert Hoover asked the American people to turn off all of their electric lights for one full minute, in remembrance of Thomas Edison’s greatest gift. And all across America, at 10:00 p.m. Eastern time, they did.